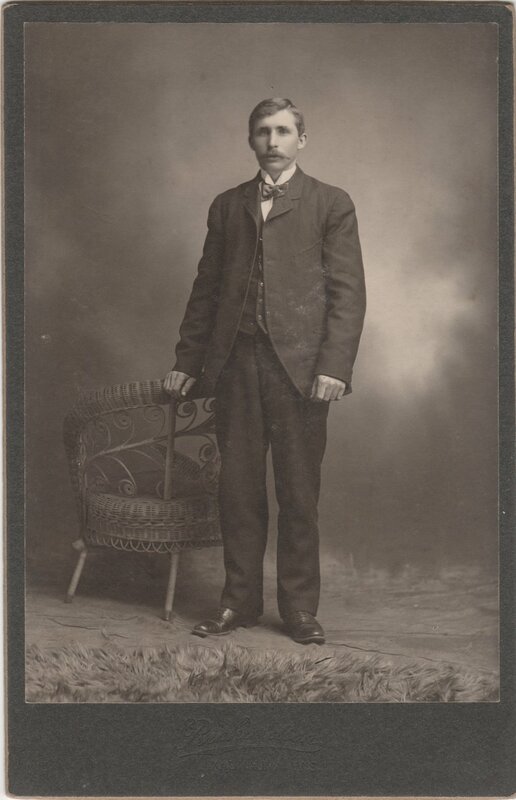 A well dressed man stands with his left hand resting gently on the back of a wicker chair. His hair is combed neatly to the side as he stares toward the camera. His mustache his impeccably groomed. 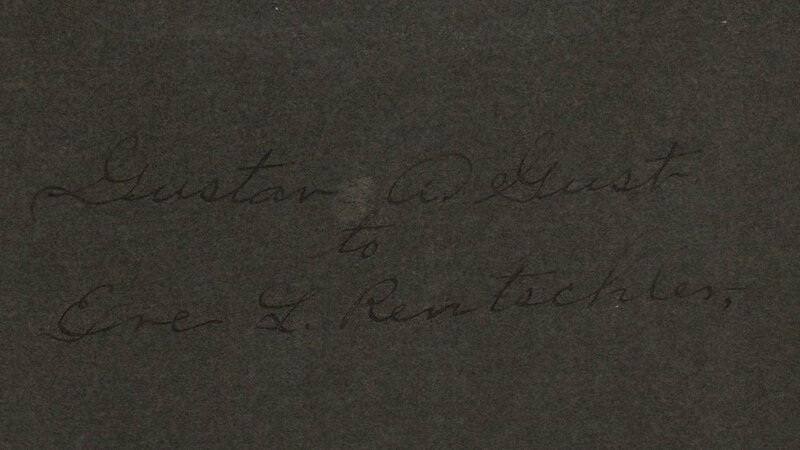 Though very hard to see, the bottom of this cabinet card photograph says “Richardson” as the photographer. Beneath it lists the city as Kaukauna, Wisconsin. The back is plane except for the following inscription that I have enlarged and highlighted for easier reading. It appears to say “Gustav A Gust to ? L. Rentschler”. I cannot quite decipher the second gentleman’s (presumably a man) first name. Is the man in the photo Gustav? Is he sending a photo to a friend? What is the first name of the second person? Is the writing on the back more recent? When was the photographer Richardson of Kaukauna, WI in business? What was the relationship like between the sender and receiver of the photograph? What do you think, feel, and wonder about as you look at the image? Newer PostThe Psychogenealogist Pic of the Week (#109) - Bucketed Berries?